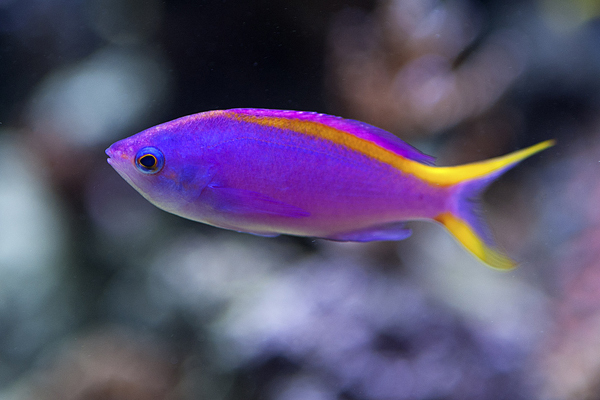 The sheer beauty of the purple and yellow Tuka Anthias is difficult to miss. 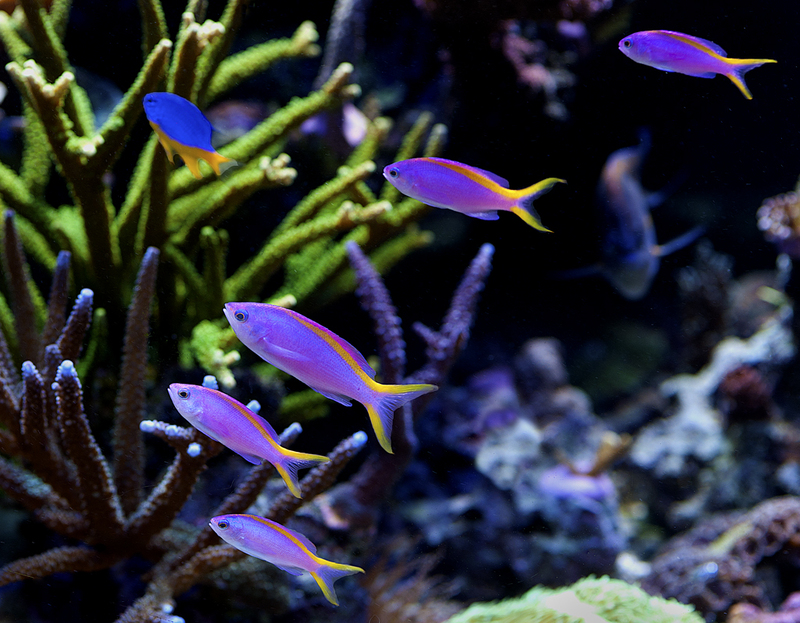 Ever since I saw these fish almost 20 years ago, I have always had the desire to keep them in my aquarium. Early on I attempted to keep these, but was not met with any success. After conversations with other fish enthusiasts, it became quite obvious that these fish are best left in the ocean. No one had any long term success with these fish and these fish were rightly deemed difficult to keep. This dissuaded me from buying these for the next 15 or so years. I just admired them from afar and in pictures. Recently, in my quest to push the boundaries I was once again tempted to try these fish. 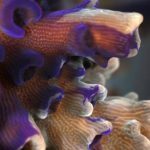 I was inspired by Matt’s article in Manhattan Reefs’ Reefs Magazine. I also had the opportunity to see them at the Steinhart Aquarium: California Academy of Sciences under Matt’s care. After reading Matt’s article I was still skeptical but emboldened to try again. 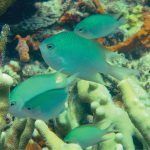 The first step was to find a healthy group of these fish. My past experiences with purchases from local stores, where these fish were already in a weakened state due to lack of food was clearly not the way to go to try to obtain a healthy enough group. The quest to get a good healthy group had begun. 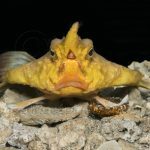 At MACNA last year, in a conversation with Cameron Potter from Sustainable Aquatics he mentioned that he had a few tukas that were larval raised, and were even eating Sustainable Aquatics Hatchery Diet, a small pelleted food. When I asked Cameron how they managed to get them to eat the pellet food, he told me his secret, “I swim with them and train them to eat with me. I wear a wetsuit that is purple with yellow stripes so as not to freak them out”. This was it, now that the secret was out, I had to get these fish and for once satisfy my 20 year old desire to add Tukas to my reef. Pulling out all stops, using “celebrity status” (as my friends call it) and Boilermaker kinship, I finally got a group of 6 in January after waiting out several snow storms in the Midwest and PA. Of the six, four were out and about in the tank right from day one. 2 of them pretty much disappeared for the next several days and I assumed that they died. Almost a week later, the fifth one appeared in the open. Looking forward to seeing them feed, I added several different foods and was disappointed to see that they were not making any attempt at feeding. A couple of days of not eating had me worried. Cameron sent me some of the Sustainable Aquatics Hatchery Diet which they also seemed to be ignoring. I resorted to trying several different foods, but success was still limited. They would pick at the small particles but just not eat them. At least they were chasing food. Dom and Randy from Manhattan Reefs were visiting and they brought me a big bag of adult brine shrimp (not easy to find in State College). They went after this food with gusto, and for a week I mixed other foods with live brine. After a week of this, the live brine was over and I switched to feeding frozen brine, cyclopeeze and small Hikari mysis along with the SA pellets. I was feeding almost 5-6 times a day. Now almost 5 months later, I am not feeding as frequently and the fish are eating smaller pieces of Mysis, as well the SA Hatchery Diet. Until last week I had 5 fish, one of them was slowly losing weight in spite of it being one of the more aggressive eaters, and now has disappeared. The remaining 4 are well established now and doing quite well. 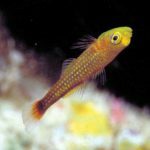 Clearly, the success seems to be due to getting healthy fish to start with that already have some experience eating and feeding on typical captive food. With these larval raised fish, a lot of the initial hard work has already been accomplished. I am not sure if 5 months is enough to claim success, but at least it has been a promising start and a personal record for me in keeping these gorgeous fish. Those guys have always been on my fantasy team as well. Please keep us apprised. 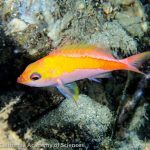 As an anthias lover I too one day hope to have success! The last photo in the article is awesome.